Reading this simple repetitive text on the first double spread gives no hint of the animals to be revealed when the page is turned. Read the pictures and it’s a different story. 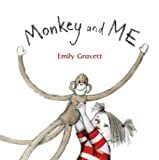 The impish little girl with bunches and her long limbed cuddly toy companion give clues aplenty as they cavort their way through the book capturing the very essence of the penguins, kangaroos, bats, elephants and monkeys that follow. 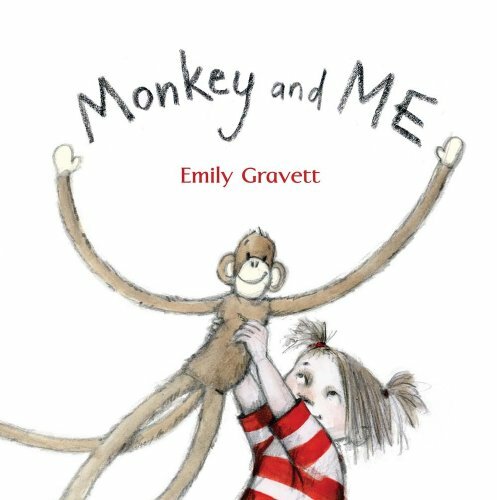 Gravett clearly loves to draw and her drawings, tinted minimally in shades of red and brown, are animated, dynamic and an object lesson in acute observation. The whole book is minimalism perfected yet its potential is enormous. Be ready to hear it being read and reread, followed not only by children’s own illustrations, but also by actions, movement and mimicry of the animals too.